What are Your Quilt Dreams? Where will your quilting lead you? Have you set your goals for 2007? Perhaps you want to teach a class. Perhaps you want to publish your own pattern. Perhaps you just want to finally finish a quilt. 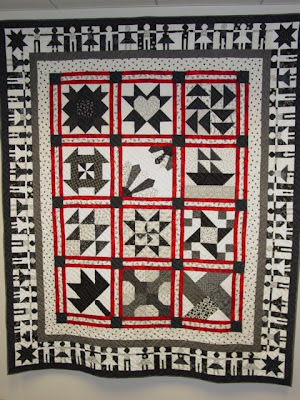 Perhaps you want to see your quilt in a show. Maybe you want to win a prize or be in a book. Whatever your quilt dream, visualize it and go for it. You can make your dreams come true. Martin’s Dream. 74 x 87 inches, 2002 by O.V. Brantley.